Find your path to educational success at CKEOC! 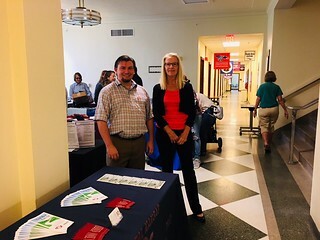 Are you an adult, and or Military connected, who has thought about returning to college or perhaps enrolling in college or vocational training for the first time? Are you at a loss about where to go or how to begin? Check out more services and resources available through the CKEOC! Have questions? Call the CKEOC at (620) 793-8164 or send an email. Check out CKEOC images on Flickr! 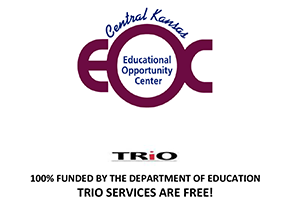 The Central Kansas Educational Opportunity Center exists to promote educational awareness by helping community members find a pathway in which to identify and meet their educational, personal and career goals. 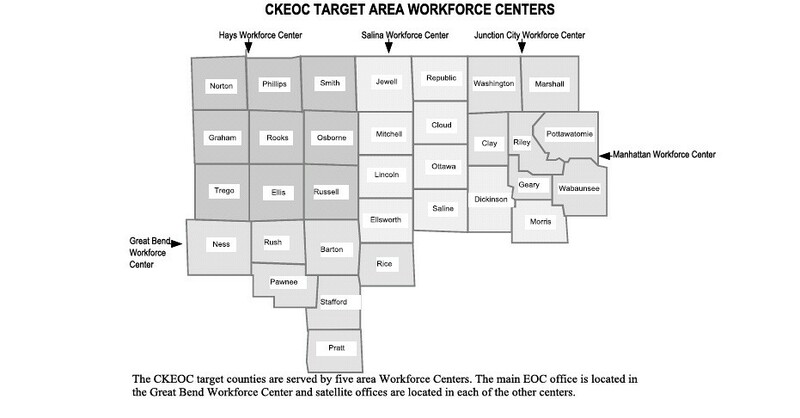 The CKEOC serves 33 counties, including: Barton, Norton, Graham, Trego, Ness, Phillips, Rooks, Ellis, Rush, Pawnee, Smith, Osborne, Russell, Stafford, Jewell, Mitchell, Lincoln, Ellsworth, Rice, Republic, Cloud, Ottawa, Saline, Washington, Clay, Dickinson, Marshall, Riley, Geary (including Ft. Riley), Pratt, Pottawatomie, Morris, and Wabaunsee. Click on the image below to view larger. Check out the latest CKEOC newsletters!